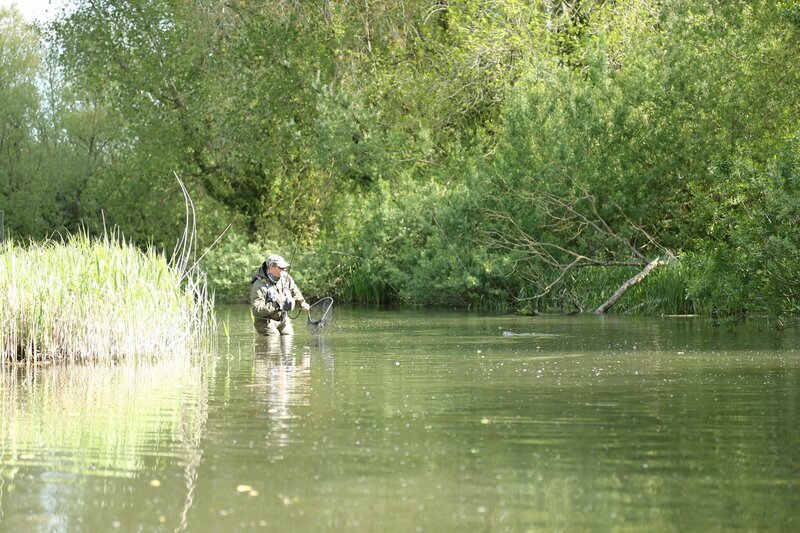 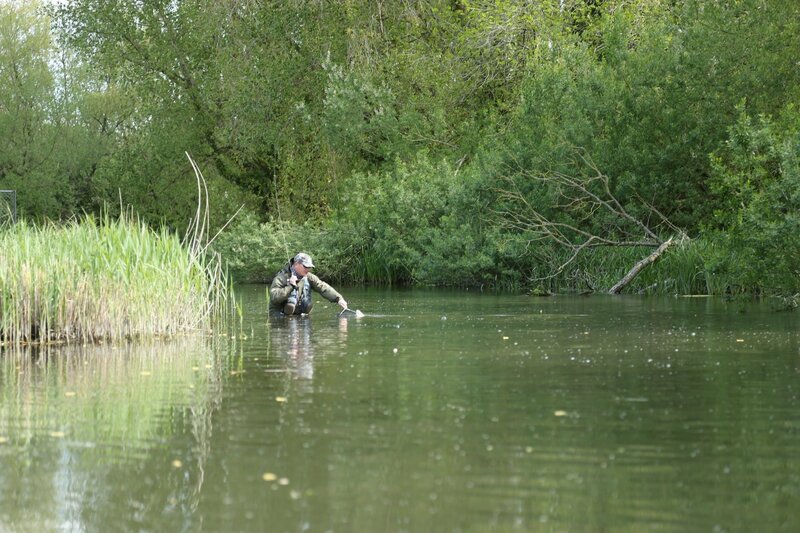 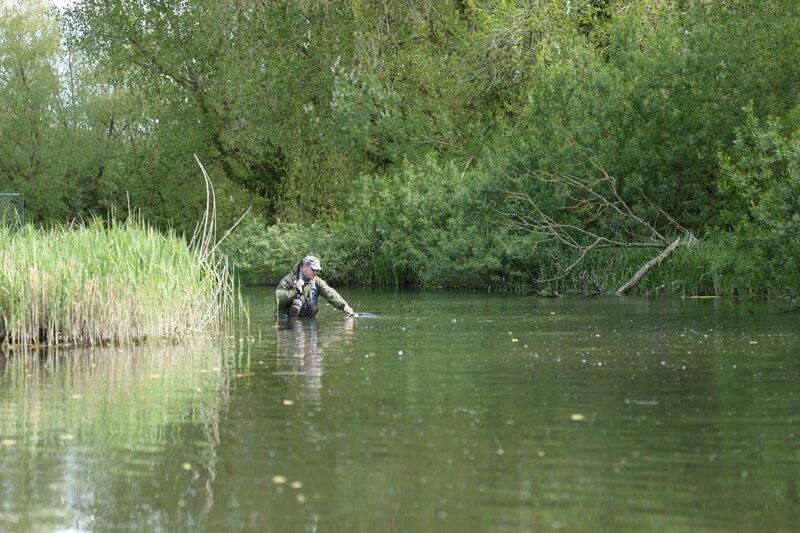 An analysis of the ten year catch return statistics is available to Members on their section of the web site. The average annual record of takeable brown trout caught on the fishery is around 1100, of which an increasing number are returned. 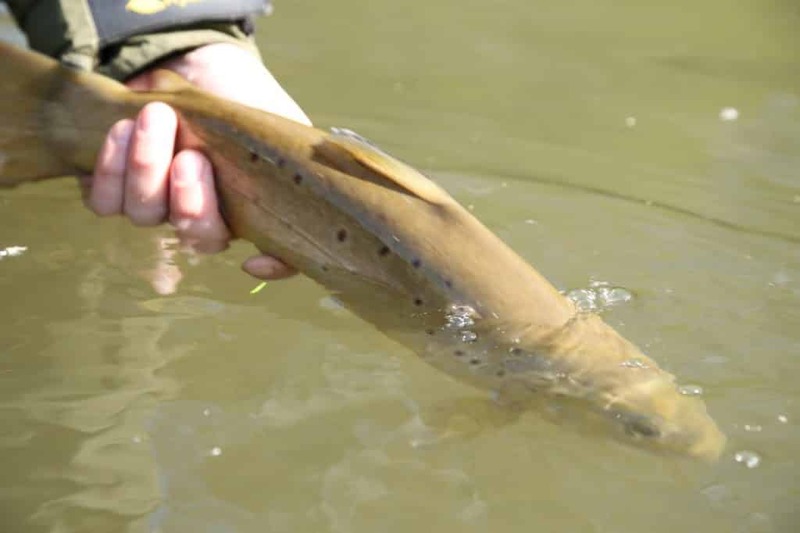 In 2015 for example over 800 trout were returned out of a total of 1234 recorded, and these figures do not include trout under 12” (30cms) in length. The river is stocked, but not intensively, and we know that fish under 12” are invariably wild and must be returned to the river. 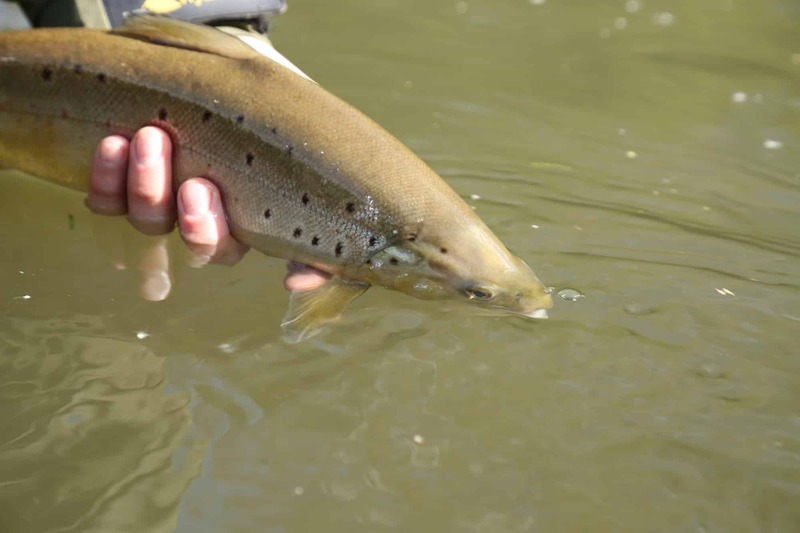 Their numbers have increased over the 10 year period, indicating a consistently healthy river environment. 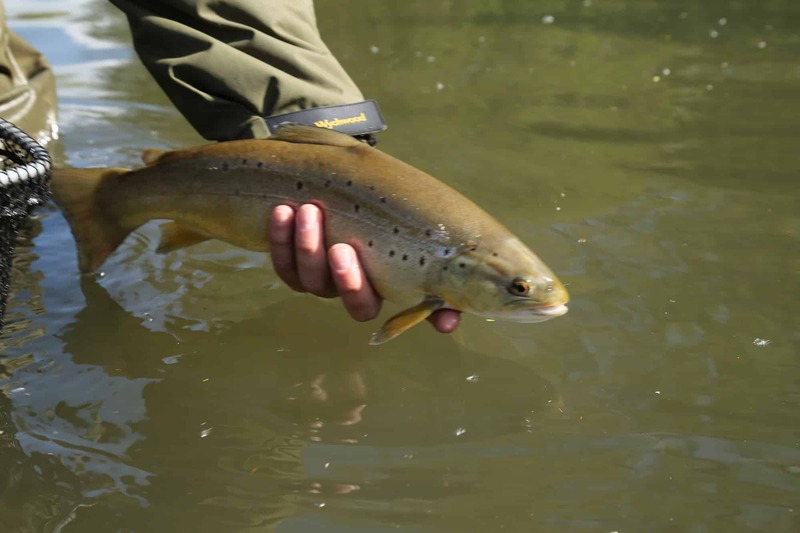 Wild brown trout of up to 3lbs are caught regularly, one of which is illustrated below in the first fishing sequence below. 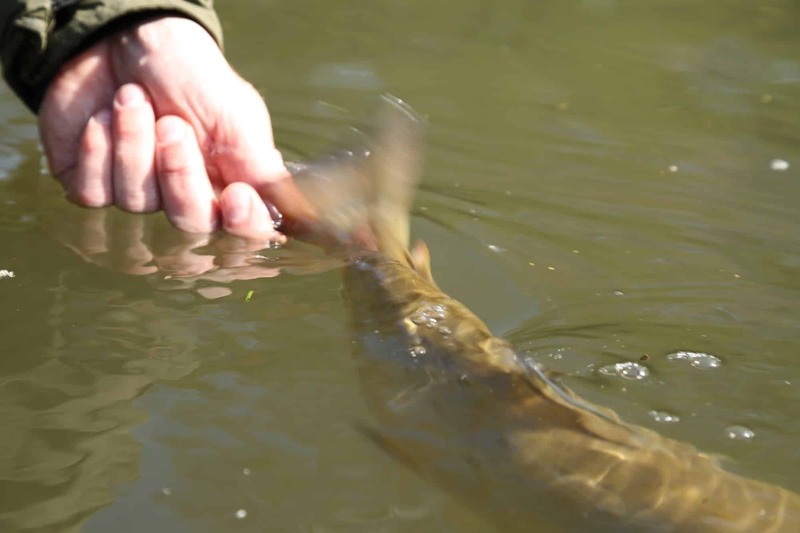 There is a thriving population of grayling with some exceptional fish among them. 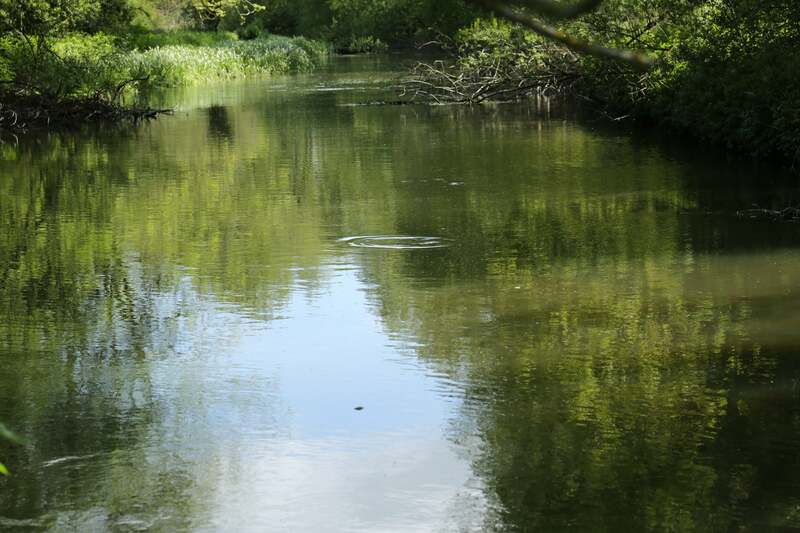 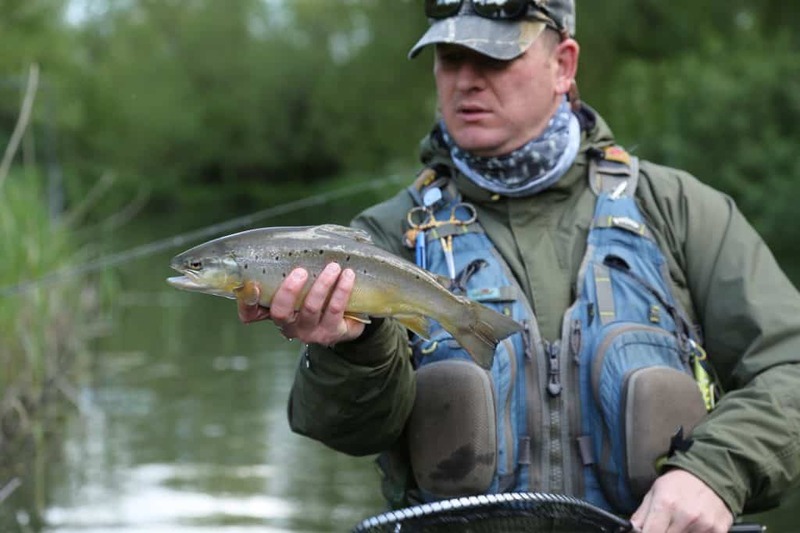 A grayling of 45cms was recorded in 2015, with several others approaching that size, and the river remains open to members for grayling fishing after the end of the brown trout season. 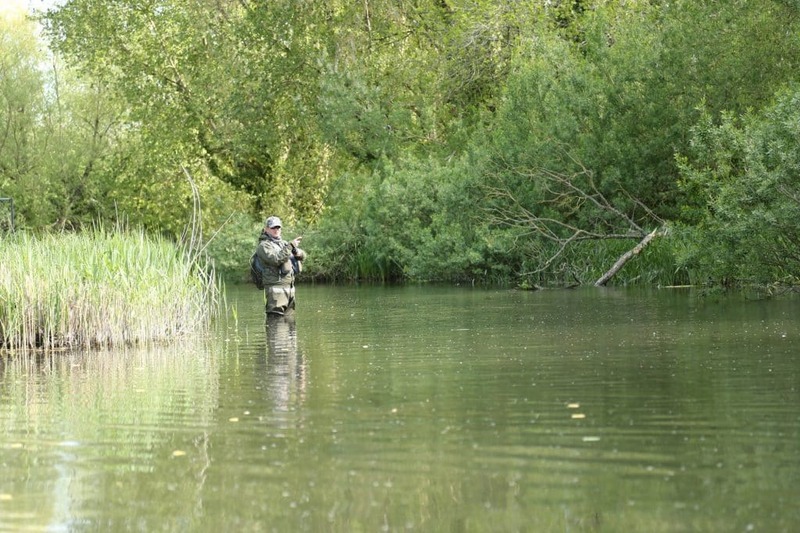 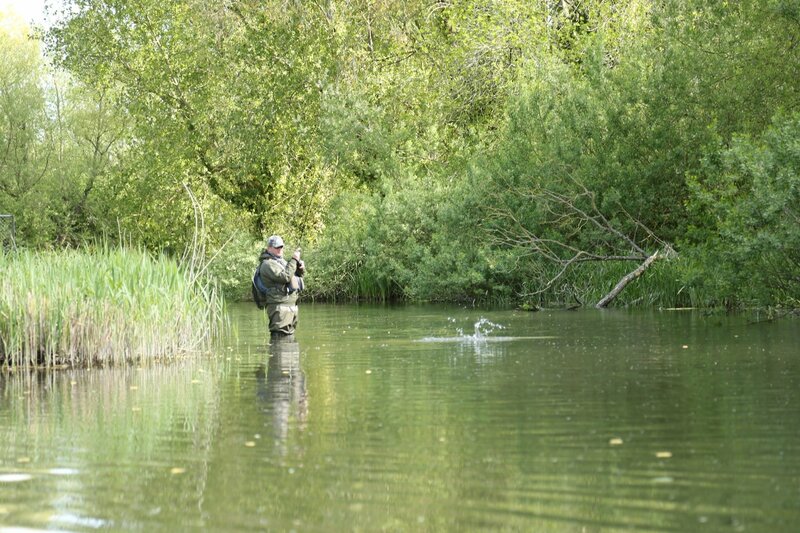 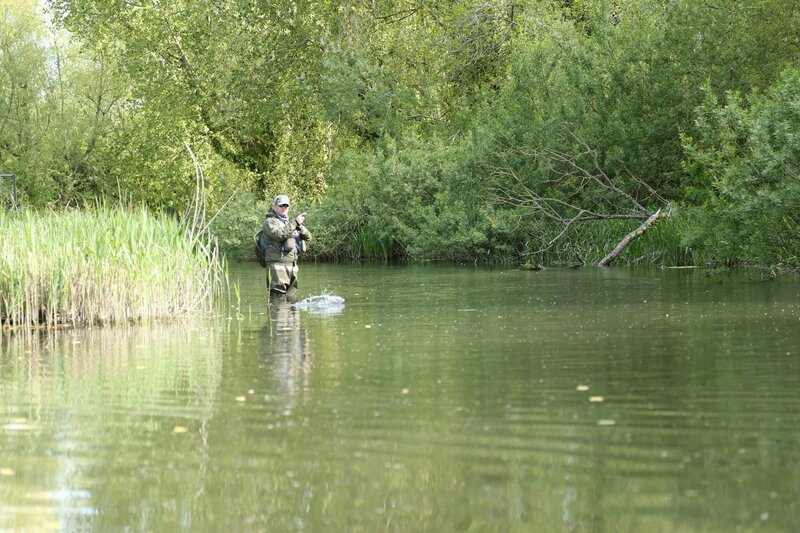 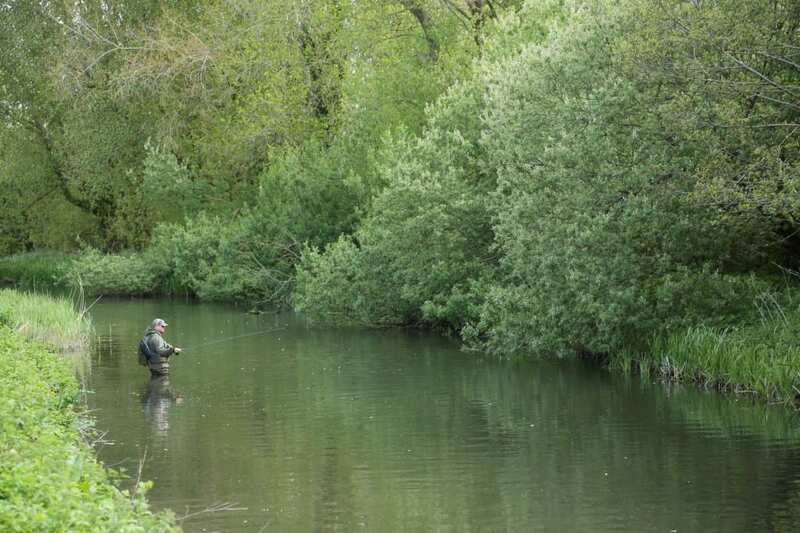 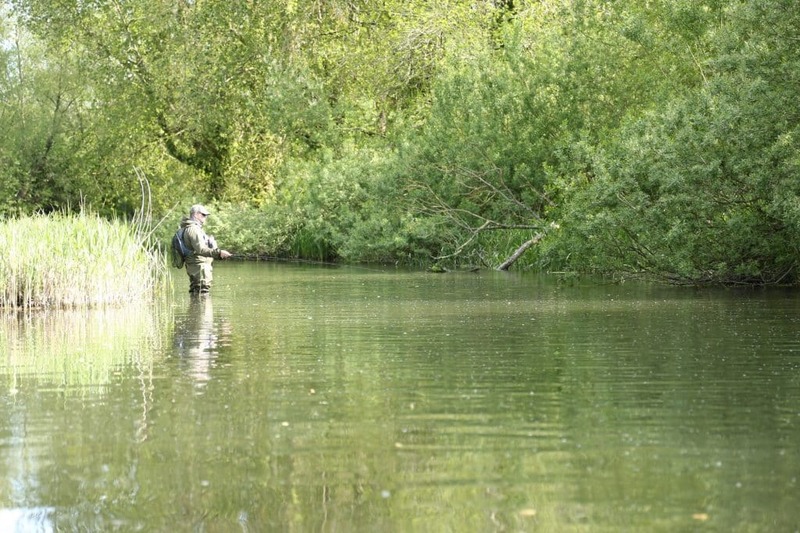 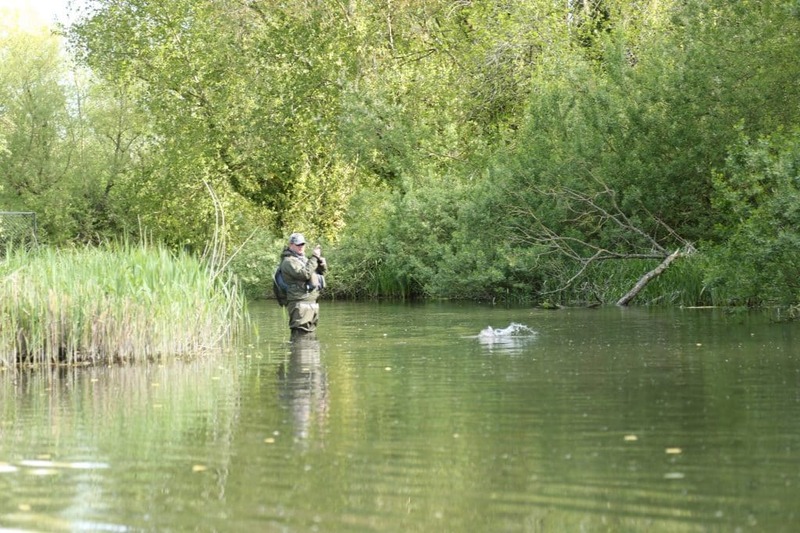 Members also benefit from a small lake fishery which is stocked with rainbow trout, and which opens ahead of the main season in March, and remains open until December.